Amsterdam is a dream city, unique and unrepeatable. This city is the embodiment of freedom, it combines incongruous. 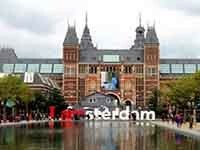 Amsterdam is always different, but everyone will find here something to their liking.